First bento in the new place! First bento in the new place!, originally uploaded by frykitty. In the far container, guacamole-cream cheese wraps, with some extra guac. 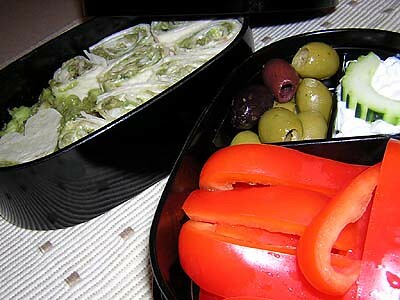 Close up, sliced red pepper, olives, and some cottage cheese with a sliced cucumber for garnish.